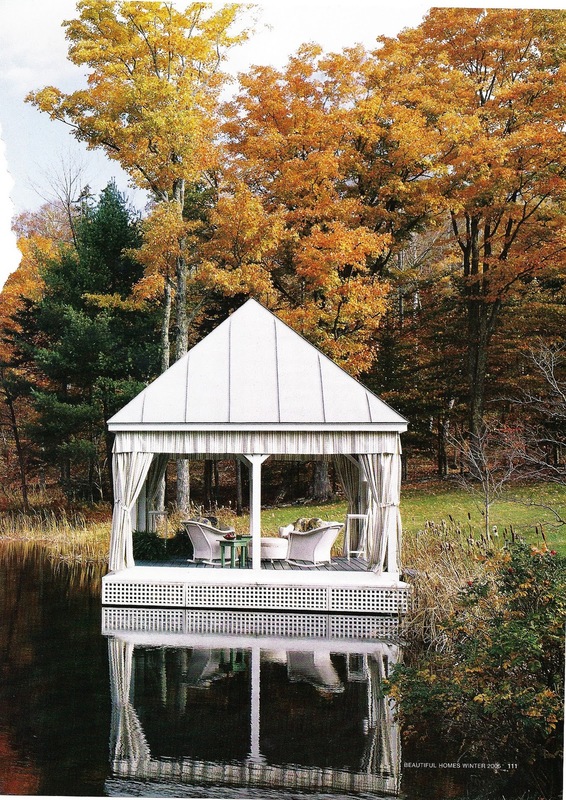 Pure Style Home: Fall's here!! Fall just might be my favorite season. I love it. I love the feeling in the air, the clothes, the boots, the smell of the wet leaves right now (been raining a lot) and I love that cool tinge of excitement it gives me every year... Here are a few pics that call it to mind.. I can't get enough of it. Today's perfectly gloomy weather has me in a thoughtful mood. Fall is here in SF too! Love the images you selected. Your orange door is perfect for the season. New profile pic? It's gorgeous. Fall is here in NH and I love it, my favorite time of year too! In fact I'm wearing my pumpkin colored sweater today for the occasion. Love your new profile picture! Love the pics! Great blue crackly vase on your mantle. Just got cool here too..... I love it! Finally! Love your new profile pic too! You look gorgeous! Your new picture is great! I love fall, too! Especially the boots (hehe!) Always sooo nice to feel the crisp air and curling up at home with the family is so great! Love your new profile picture! You look beautiful. Makes me more motivated to work on mine. * Oh, you are SOOO PRETTY in your new pic, Lauren!!!! It's beautiful!!! My, but you are all so blessed! I love autumn too and it must be lovely where you are with all the leaves etc. And of course that front door of yours is 'Pumpkin Orange' !! Perfect for the season. I have often toyed with the idea of painting my front door (currently dark maroon) a different colour for each season. What do you think? The pics are great...little ones and pumpkins are some of my favorite photos. Love all of the images. Think honey bear is my fave! Thanks for a taste of fall. I miss it ohso very much. I love the images from your home-- so lovely! My favorite month, too. I love all of your images. They definitely provoke the feeling of fall for me. 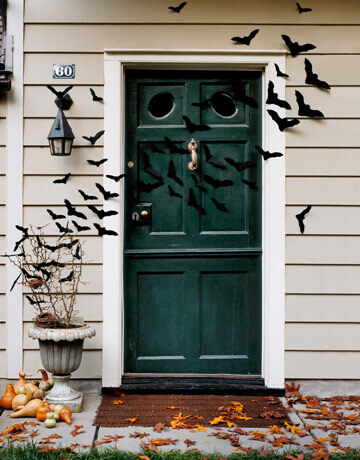 The bats flying across the doorway is so cute I think I'm going to have to do that myself. I'll let you know if it happens and post pictures. Have a great day! You really take wonderful pictures of you own home! Fall. Crimson leaves underfoot. Wonderful! You've captured it in your house. I just love the orange shades in that moody painting on your mantle. And your new portrait is awesome! You look fantastic. Love your mantle, and your orange door! So pretty! Love fall too! So fun, especially with kids. Can't wait to get Halloween decorations out! Lucy loves it. Hope you have a great week. I love fall too! I have not been keeping up, have you opened your shop yet? Ditto on the whole fall thing. You look wonderful in the updated picture! LOVE your blog! Fall is present in central Illinois, too. Pumpkins & fall displays make me smile. (very nice profile picture!) Have a wonderful day! You're little boy is ADORABLE!!! Just found your blog, and Love it! I have just finished my fall mantel decor, with a painting similar to yours, painted by my husband! Your home is so beautiful like it was made for fall but your profile pic is even prettier then your house!! Lovely photos! I totally forgot about stone soup! I want to make this now, it's sooooo tasty! Beautiful photos, however hate to put a damper on the Season but how I detest Fall. :) Up here in Canada living in the snow belt region it means Winter, plunging temps and layers of clothing are not far behind. Arghhhhhhhhh! I love the lamp in the living room. Who makes it? Mmmm fall is my favorite! You are funny. Hope you thought some good thoughts! Love your mantle. Old painting, fresh blooms, milkglass? turquoise - so pretty.